Mild pepper plants such as poblano peppers, medium pepper plants such as jalapeno peppers and hot pepper plants such as Serrano peppers are great for salsas and are easy to grow in a home garden. Choose your pepper plants according to your salsa taste. Grow mild pepper plants to make mild salsa or hot pepper plants to make hot salsa. Mild pepper plants include poblano peppers, Bermuda hot peppers and Ortega chilies. Plant these pepper plants in the outdoor garden in a sunny location when all threat of frost has passed. Space the plants approximately 2 feet apart. Keep the plants watered evenly over the growing season. Harvest poblano peppers when the peppers turn deep red. Pick Bermuda peppers when they are approximately 3 inches long and turn red in color. Ortega peppers are ready to harvest at 70 days when the peppers are still green (milder) or at 95 days when the peppers turn red (hotter). Plant medium pepper plants in a sunny garden for a salsa with slightly more heat. Medium pepper plants include hot banana peppers, rocotillo peppers and jalapeño peppers. Place these peppers in the outdoor garden when the soil has warmed and after the last spring frost. Space the pepper plants at least 2 feet apart in the growing area and keep the pepper plants watered throughout the growing season for an abundant pepper crop. Harvest hot banana peppers when they are 4 to 6 inches long. Wait until these peppers turn red for the most flavor or harvest when they are green for a milder pepper. Rocotillo pepper plants grow slowly so these peppers will not be ready to harvest until 150 days after planting. These peppers are ready to harvest when they are approximately 1 inch long and turn red in color. Harvest jalapeño peppers when the peppers are approximately 3 inches long and are either green or red. 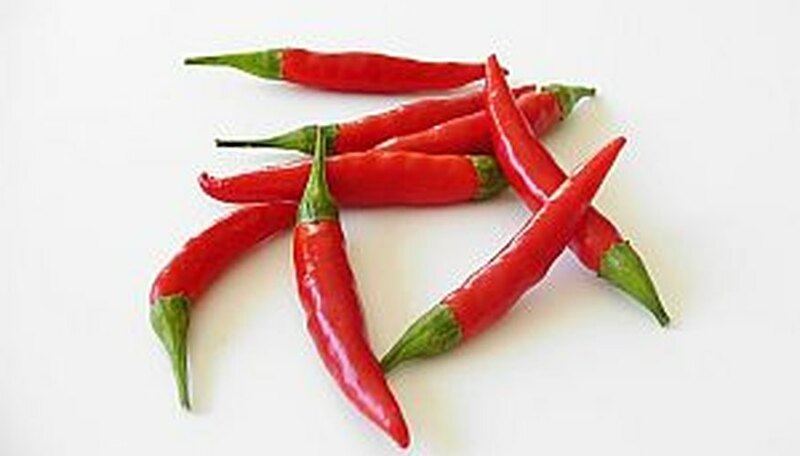 Hot pepper plants include cayenne pepper plants, Tabasco pepper plants, and Serrano pepper plants. Plant these peppers in the garden area in the spring after the last of the spring frosts. Space the pepper plants 2 feet apart and make sure the pepper plants have regular water throughout the summer. Harvest cayenne peppers when the peppers are 4 to 6 inches long and a bright red in color. Pick Tabasco peppers when the peppers reach a size of approximately 1.5 inches. Serrano peppers are ready to pick approximately 75 to 90 days after planting. Serrano pepper plants produce an abundance of very hot peppers.